New Delhi: Parmjeet Singh Sarna chief of Shiromani Akali Dal (Delhi) and former president of Delhi Sikh Gurdwara Management Committee (DSGMC) has written a letter to US Commission on International Religious Freedom seeking its intervention against arrest of five Sikhs in California in a case related to attack on DSGMC president Manjit Singh GK. Notable, Manjit Singh GK was thrashed during a clash in Yube City few weeks back. 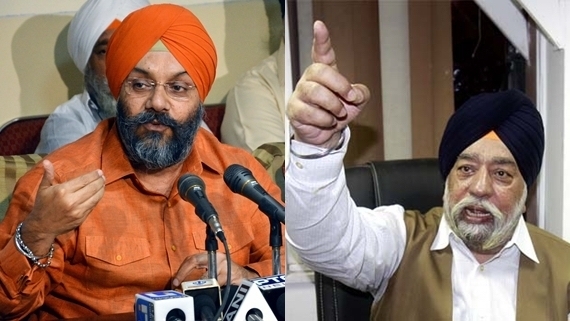 “We write to you to share our concern about the arrest in California of five Sikhs in connection with the alleged assault on visiting Indian Sikh leader, Manjit Singh GK, whose party has recently been officially indicted by a government commission for its role in the 2015 police firing on Sikh demonstrators in Punjab”, Parmjeet Singh Srana said in his letter to Gary L. Bauer of US Commission on International Religious Freedom. Sarna said that: “GK belongs to the party that governed Punjab from 2007 to 2017. His party is an ally of the nationalist BJP, which itself is accused of fomenting sectarian attacks on minorities in parts of India”. “In 2015, Sikhs across Punjab held protests after their most revered scriptures, Sri Guru Granth Sahib, got desecrated”. “A government commission headed by a former judge, Justice Ranjit Singh, has recently established that the obnoxious desecrations were organized in connivance with ruling politicians”. “GK’s political boss and the then chief minister of Punjab, Parkash Singh Badal, has been indicted by the Justice Ranjit Singh commission for ordering police firing on peaceful demonstrators in October of 2015, in which two Sikhs were fatally shot and several others seriously injured”. “The police brutality and desecrations lacerated Sikh souls across the world”. “During GK’s recent trip to the US, groups of diasporic Sikhs protested his party’s acts of omission and commission when it was in power in Punjab”. “GK, being an ally of the nationalist BJP, instead issued provocative video statements while in the United States, labelling the protestors — the legitimate US Sikhs — as terrorists”. “In his utterly disparaging comments about the former Sikh asylum seekers, now American citizens, he denigrated them as “deserters who have been kicked out” in the early 1990s by authorities in Punjab accused of widespread rights violations in the name of curbing unrest during that period”. 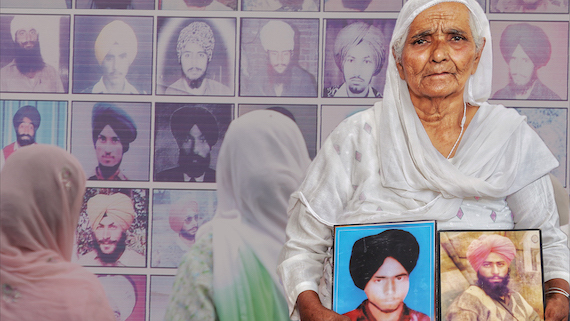 “To the best of our knowledge and to that of the diasporic Sikh community, the arrested men were protesting the 2015 desecrations and the police firing GK’s political boss had ordered on Sikh demonstrators in Punjab while in power”. 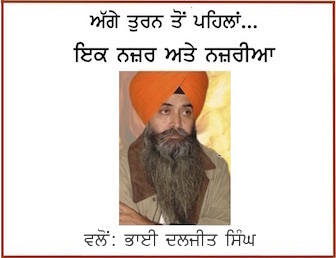 SAD (Delhi) chief added that [g]iven the alliance of GK’s party with the governing BJP and the video evidence of his statements widely available on the Internet, we strongly believe he instigated the entire sequence of events in order to further his agenda of sectarian politics back home and cover up the atrocities committed against Sikhs under his party’s rule in Punjab. “We, therefore, seek the Commission’s intervention into the California arrests. We would request a thorough investigation into GK’s own provocations, his hate comments against the US Sikhs and into his overall activities when he was in the United States in August. Besides, we would urge appropriate action under international law against GK, his party and his party boss, Badal, for their gross violations of Sikh religious and civilian rights in Punjab and elsewhere in India”, Sarna wrote in his letter.